FMR Systems Customer Service Case Management - FMR Systems, Inc. The Customer Service Case Management Platform is a banking focused customer servicing solution for issue and ticket tracking and case management, supporting organizations that prefer a 'personal touch' approach to customer service. FMR's Customer Service Case Management Platform provides the critical link between your support team and your customers, delivering a consistent personalized approach across the bank. The solution provides an intelligent easy-to-use interface that integrates customer service tracking with decision tree scripting and workflow. The solution allows customer service representatives to capture customer service details easily, while the decision tree scripting automatically determines the correct workflow routing within the bank to resolve issues efficiently. FMR's Decision Tree Scripting and Workflow is an administrative function that does not require programming knowledge or FMR involvement. This allows the business unit to react quickly to the ever changing needs of the customer service unit. Optionally, if the FMR Customer Service Case Management Platform is implemented alongside the FMR Client Onboarding Platform, a direct access knowledge base is provided to research implementation setup and client onboarding information, facilitating problem resolution. 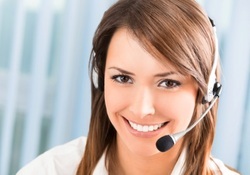 The Case Management Profile logs the details of every Customer Service Request. FMR employs a comprehensive workflow facility to define the bank's unique business processes for each case management request, that can be automatically assigned to the outcome of a decision tree script. FMR's workflow is unique in that it does not require programming in order to create or maintain workflows. The workflow allows for parallel processing, multiple dependencies, milestone tracking, SLA generation, and more! Decision Tree Scripts prompt the service rep with questions and possible answers. FMR's decision tree scripting is unique in that it does not require programming in order to create or maintain scripts. Case Management Dashboard and Status Boards present customer service reps and managers with a graphical presentations of their team’s case status and task assignments. A complete set of reporting capabilities is available for Customer Service Case Management and Workflow Task Activity. Data Mining facilities allow you to "slice-and-dice" the database, providing powerful ad-hoc report writing capabilities for Customer Service Case Management and Workflow Task Activity. Result sets can be further configured with customized sorting, grouping, and column selections. Result sets can also be exported to tools like Microsoft Excel for additional reporting functions.